Sometimes you need to move a tractor unit from one place to another and can’t find a load to cover your diesel costs. Recently we had a case where, the owner of a truck had to move it with an empty trailer to another country. The truck has been bought from Germany with the purpose to be used under Bulgarian operators licence. A very reasonable question was asked – does he need European operators licence if the truck is pulling empty trailer? 2. This Regulation shall apply to all undertakings established in the Community which are engaged in the occupation of road transport operator. It shall also apply to undertakings which intend to engage in the occupation of road transport operator. References to undertakings engaged in the occupation of road transport operator shall, as appropriate, be considered to include a reference to undertakings intending to engage in such occupation. We have tried to identify some case law on the matter and see if our interpretations of the Regulation are correct. Luckily there is case law about the very same question, we look answer for. 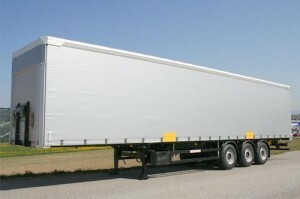 In administrative penal case № 253 /2012 of the Bulgarian Lovetch District Court [text in Bulgarian], the jude heard a case where a haulier had been stopped on the road, driving an HGV with empty trailer. He didn’t have a valid tachograph test protocol too. Regulatory body had imposed sanctions on the company haulier because of the non-working tachograph and because the haulier didn’t have EU operators licence. Undoubtfully, the witness testimony showed that the vehicle was empty i.e it was not loaded. Detailed interpretation of the term “transportation” however shows that there has to be moving of goods for hire and reward with own or rented vehicles, including leased vehicles, which is not applicable in the current case. As written in the claim application, the claimant X was not doing carriage of goods but he merey was driving the vehicle empty to town of Pleven to leave the vehicle for sale at an auto trader. You can see from the above, that you don’t need a valid operators licence if you merely move your truck/empty trailer to another place. There will be, no doubt, traffic control officers who will argue this. In any case of any sanctions imposed, they can be successfully challenged in court.